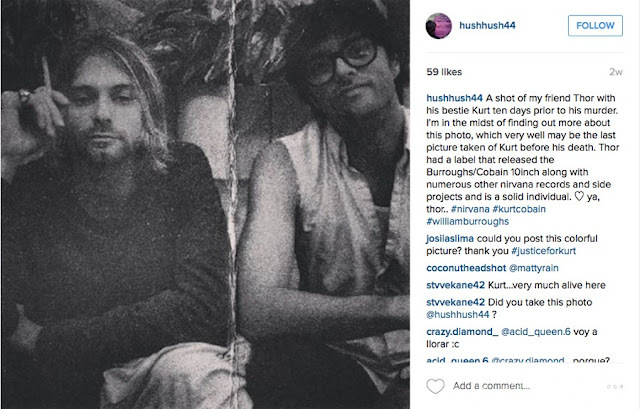 March 12, 1994: These Are the Last Photos of Kurt Cobain Alive? Nirvana had cancelled the rest of their European Tour because Kurt Cobain lost his voice and was advised by doctors to take four weeks off to rest. He then went to Rome, Italy to rest and to meet up with his wife Courtney Love and his daughter. He suffered an overdose on March 4, 1994 at The Excelsior Hotel in Rome, Italy. 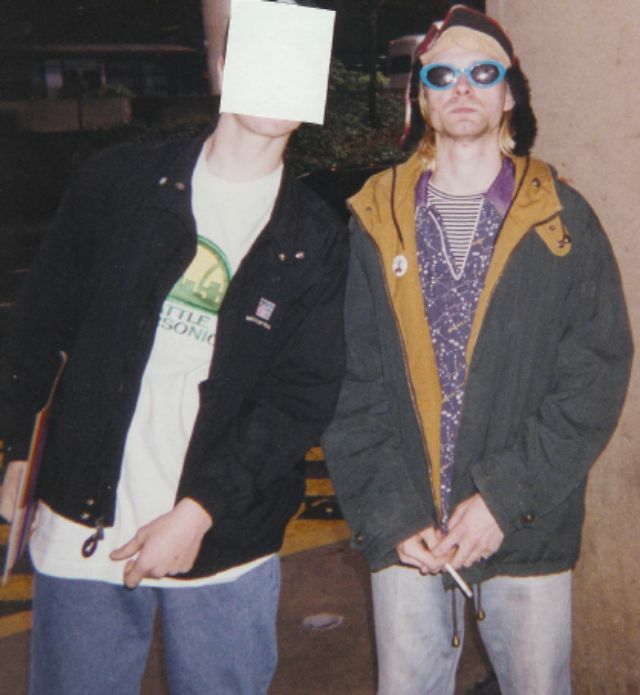 Kurt recovered and eventually flew home to Seattle on March 12, 1994. 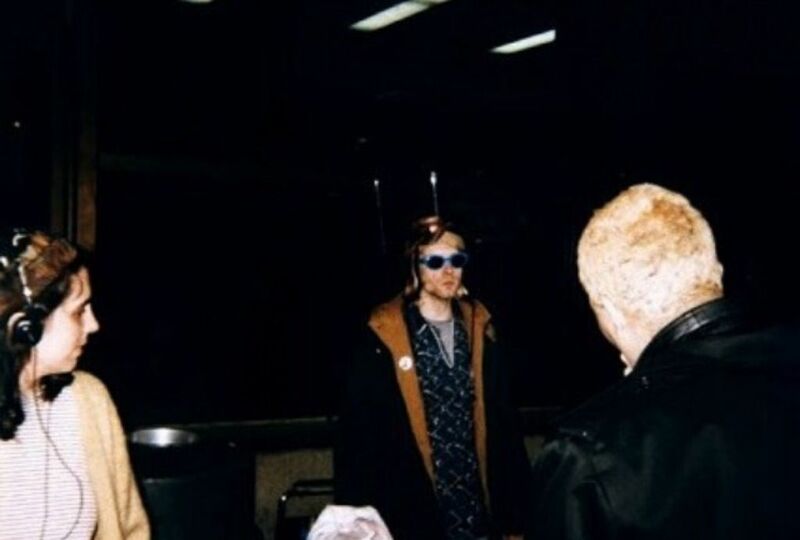 Below are some photographs of Kurt and daughter Frances Bean Cobain with nanny Michael Dewitt at the Seattle Sea-Tac airport on that day. 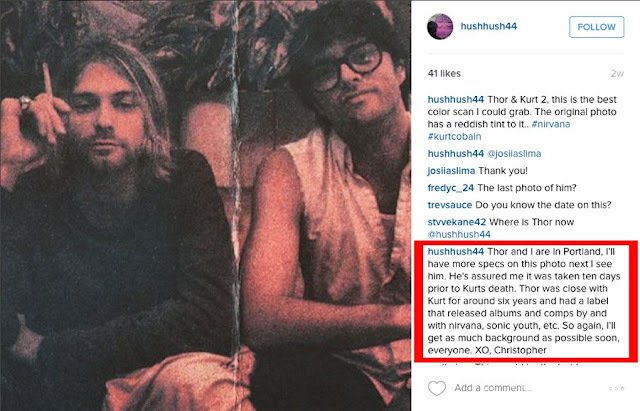 These are the last known photos of Kurt Cobain alive. Kurt Cobain committed suicide almost three weeks later on April 5, 1994. 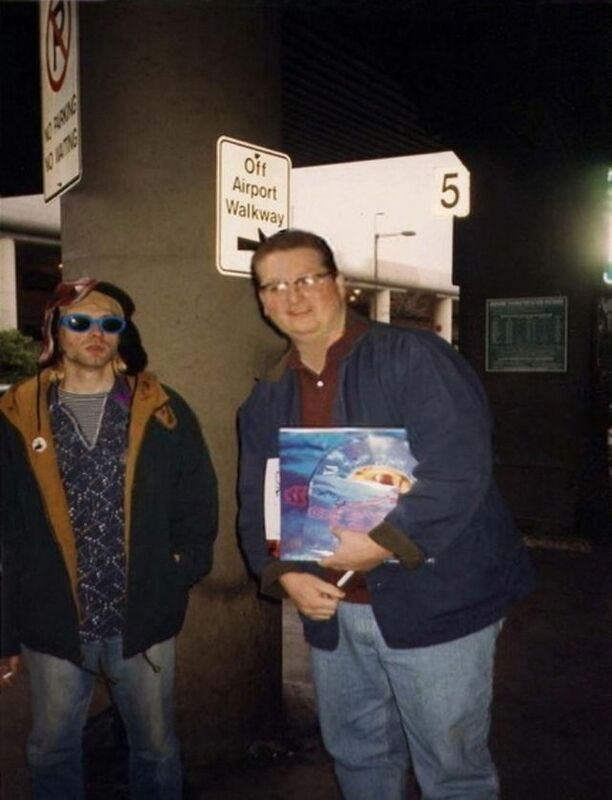 But, according to Feelnumb, this unconfirmed photo below is the very last photo of Kurt Cobain alive. 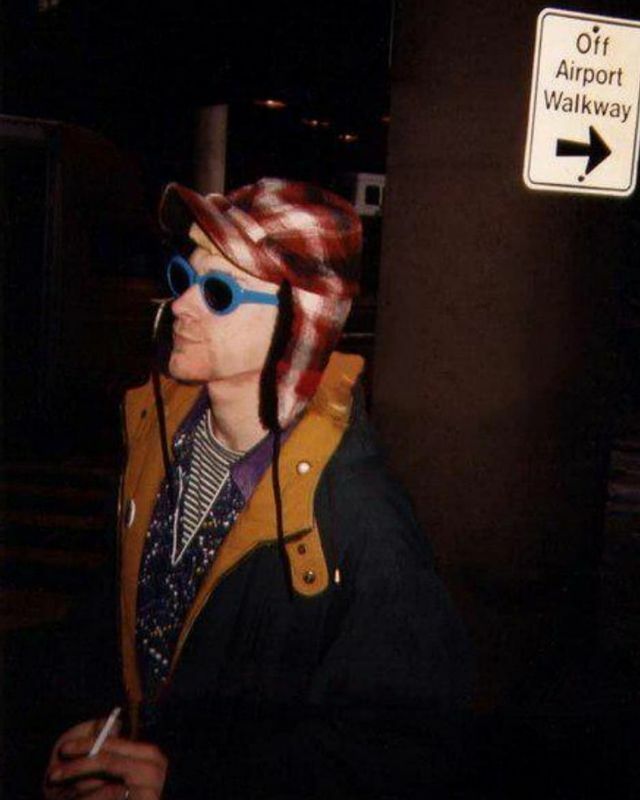 It was claimed to have been taken in Seattle on March 26, 1994, just 10 days before his death. 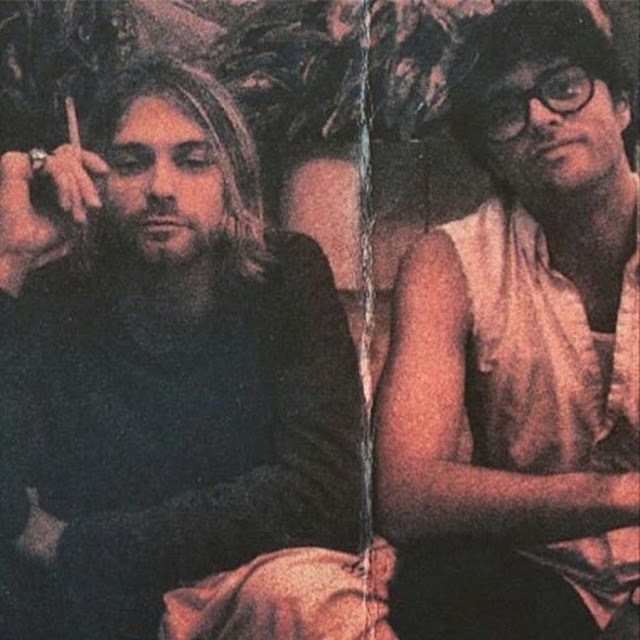 The man in the photo with Cobain is Thor Lindsay, who was the executive producer of the Kurt Cobain/William S. Burroughs 1993 single “The Priest They Called Him”. Thor’s friend Christopher put the photo on Instagram on February 25, 2016 with the following explanation. 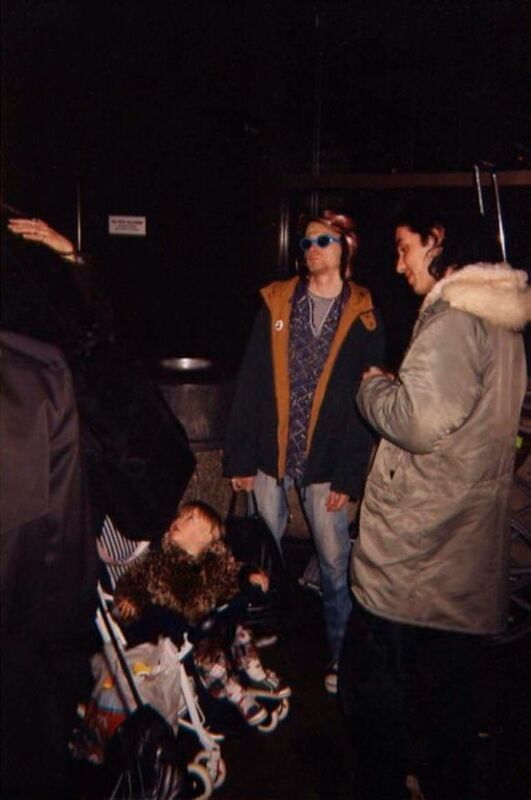 However, some fans from Live Nirvana and reddit/r/Nirvana pointed out that Cobain looks too healthy in the photo, questioning the length of his hair and saying that the photo was most likely taken sometime in 1993.